The Blue Notes are one of the dynamic groups that came out of the Gamble and Huff Sound of Philadelphia Family. 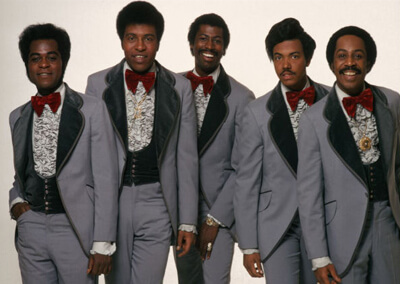 They were previously known as Harold Melvin and the Blue Notes, featuring Teddy Pendergrass. The group consisted of Harold Melvin, Teddy Pendergrass, Bemie Wilson, Larry Brown and Lloyd Parks, sharing creative sounds as The Blue Notes. The Blue Notes were formed over forty years ago in Philadelphia, Pennsylvania. During those years they succeeded in their goal to reach the highest of heights in the world of music. They went on to become superstars by attaining national as well as international recognition. They have performed at Carnegie Hall, The Forum, Hollywood Bowl, Caesar’s Palace in Las Vegas, Palladium in London and last year at the Wachovia in Philadelphia. They also preformed at President Bush’s Inauguration in Washington, DC. Their vocal talents and choreographic genius have always marked them “specialists” in the trade. 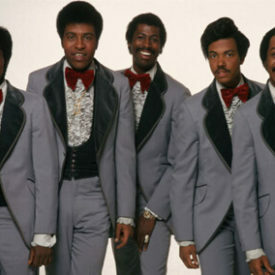 Among their credits, they have recordings of singles and albums that have reached Gold and Platinum status; “If You Don’t Know Me by Now” was nominated for a Grammy Award. “The Love I Lost”, “Bad Luck”, “Wake Up Everybody”. The list of hits becomes endless. Through the inspiration of The Late Larry Brown and the mutual verbal agreement with Trudy Melvin and Oliva Melvin to use the name “Blue Notes”, the group has added four extremely talented gentlemen by the names of Arthur Aiken, Frank Lee, Sonny King and Ramon Bentley. The Blue Notes have gone on to perfect something that was already perfected. There are no adjectives to describe their grand performances; we will simply state that they have been performing to standing room only audiences. The Blue Notes years of experience allows you to bear witness to a spellbinding soul¬stirring performance. Because of their professionalism they have maintained all the necessary ingredients that make them special. That’s what makes them….